Available software solutions targeted at workforce planning tend to focus on the short-term horizon, optimizing task scheduling. These solutions do not unlock improvements arising from optimizing the overall workforce structure and configuration. DecisionBrain Workforce Optimizer leverages proprietary mathematical models to address strategic workforce issues, such as: what is the ideal workforce size and shift configuration? What skillsets should employees have? Where should they be located? What workload should be self-delivered and what subcontracted? 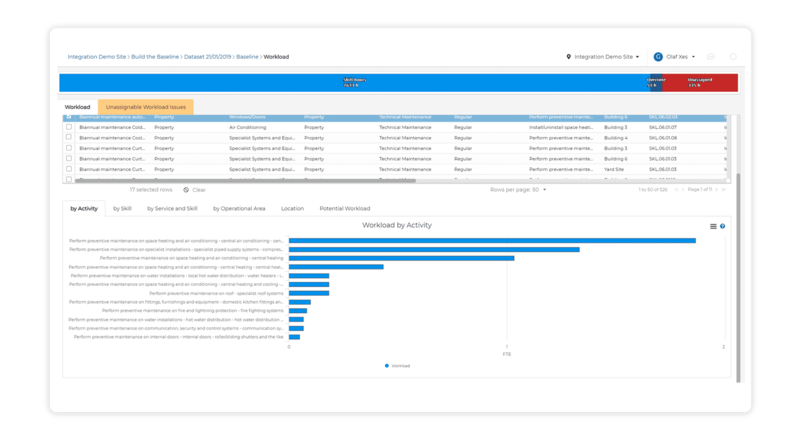 Our solution visualizes daily workload against employees’ capacity by skill and team. 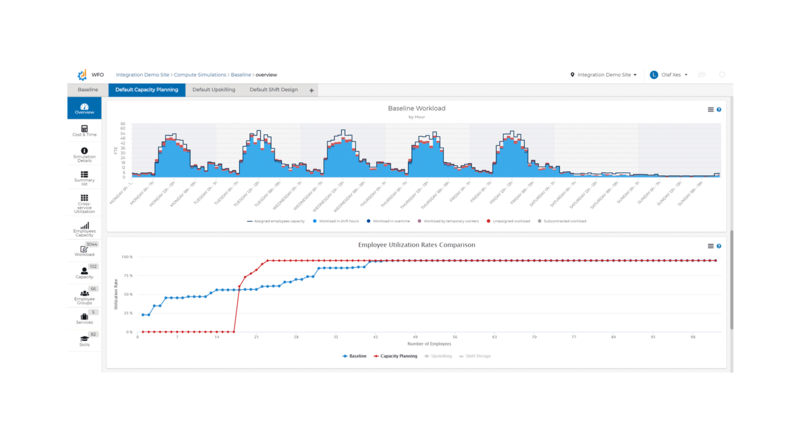 By looking at a typical week of demand and capacity, supervisors are able to identify opportunities for improvements by either reallocating tasks or changing the type of resources allocated to teams. 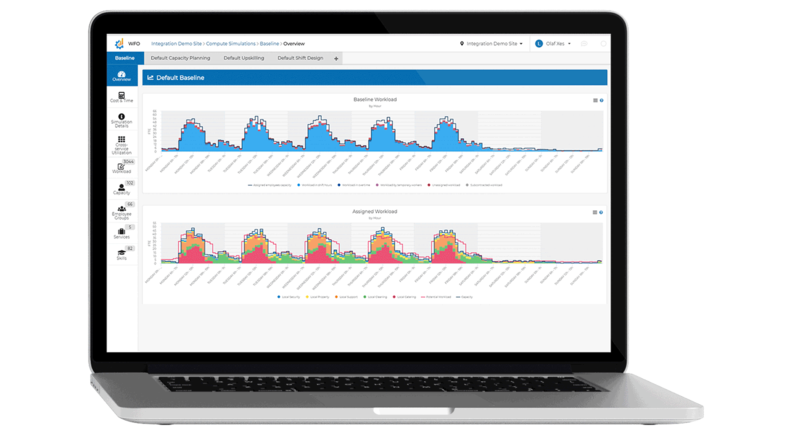 By applying advanced optimization techniques, our solution identifies the optimal workforce size necessary to deploy expected workload and proposes changes to the teams’ structure. It also defines the ideal skillset and shift structure needed to improve productivity and identifies opportunities of internalizing currently subcontracted workload. Benchmarking and best practice sharing is at the heart of any efficient organization. By embedding a taxonomy of skills, activities and job roles, our solution enforces standardization across sites and teams. It enables organizations to benchmark operations along different productivity and efficiency metrics and identify best performing teams. Fill in your details and we will get in contact with you about your enquiry.